There’s more to football than great athletes and the plays on the field. Football is about passion on the field and in the stands, and that’s never more obvious than when two arch-rivals are facing off. 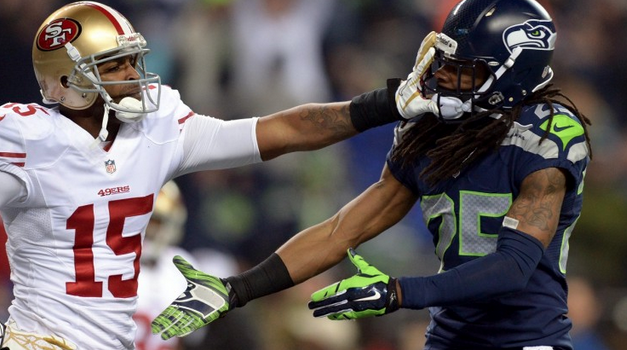 There are plenty of great rivalries in the NFL, from the Jets and Patriots to the Seahawks and 49ers (or, as they’d have you believe, the 49ers and the Rams). I’m counting down the top three best ones, taking into account history, passion, and the teams’ performances on the field. Not everyone will be happy with the selections – sorry, Chargers and Raiders fans – but I feel that no other franchises can match the hatred that these six fan bases share for their counterparts. The Dallas Cowboys and Washington Redskins have a historic rivalry that dates all the way back to the Cowboys’ entry into the league. After a deal to sell the Redskins fell through, the Redskins owner tried to block his potential buyer’s entry into the league. 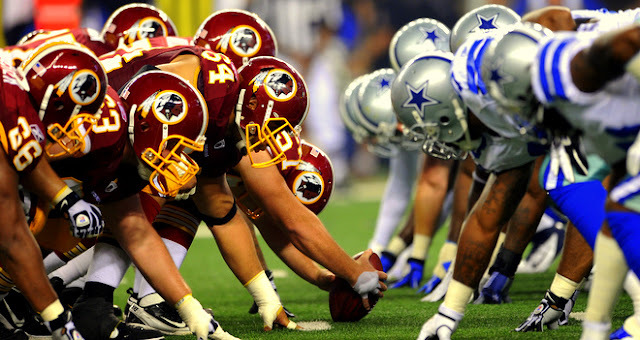 He failed, and the Cowboys came into being with a built-in hatred for the Redskins. The Redskins-Cowboys rivalry has slipped a bit of late, thanks to both teams’ struggles since their 70s, 80s, and 90s heydays. The Redskins, in particular, have been irrelevant for far too long. If and when both teams are good again, though, watch out: this is one of the best rivalries in the league for a reason. The NFC North has more great rivalries than any other division, with any pairing of its four teams worthy of mention in a discussion of great NFL rivalries. 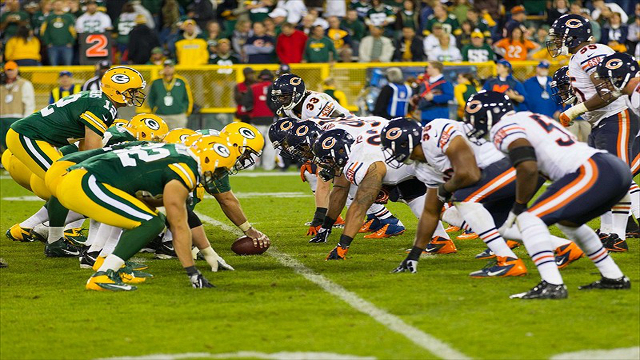 But of all of the possible match-ups in the NFC North, the Packers and the Bears have the best one. Though Aaron Rodgers has made the Packers the better squad in recent years, the teams have a close to .500 record against each other since they started facing off in 1960. Both are historically successful franchises from cold midwestern cities, both have die-hard fans and both are classic teams that bring to mind the best things about the NFL’s history. 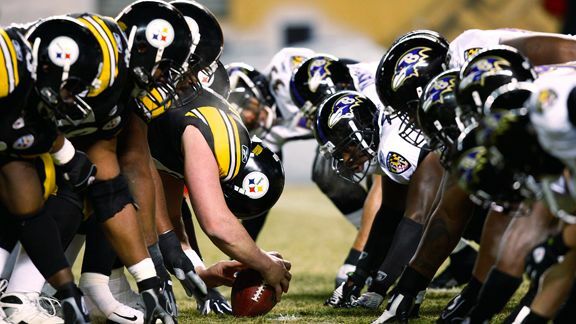 The Steelers-Ravens rivalry goes way back to when the Ravens were still the (original) Cleveland Browns. Back then, it was proximity that kept the two teams at each others’ throats. When the AFL and NFL merged in 1970, Cleveland and Pittsburgh moved together to the newly created AFC (Baltimore, then represented by the Colts, moved too). The rivalry lived through that, and then through the Browns’ flight to Baltimore.  Cleveland retained the name – they have a new version of the Browns and a new feud with the Steelers now – but the Ravens retained the rivalry, continuing to duel with Pittsburgh in the AFC North. Both teams have been consistently good for a couple of decades, and each has won two Super Bowls since 2000. There’s no rivalry in the NFL that’s as good as this one.